Senior Safety is an Android-based free elderly monitoring app with newly introduced safety features - geofence and fall alerts- enabling users with additional means to summon help when needed. Press Release (ePRNews.com) - NEW YORK - Mar 18, 2018 - Senior Safety App (SSA) – a multi-use app for monitoring seniors well being has introduced geofence alerts and fall alert system. The new fall alert system lets monitoring users know when a device fall occurs. The apps powerful fall detection algorithms leverage the technology in your phone to detect sudden g-force movements that indicate a fall. When faced with an emergency situation, response time matters, and Senior Safety App immediately alerts your emergency contacts with your real-time location, so your friends or family can come to aid when you need it most. Also introduced with this release, is the new geofence alert to help keep a tab when the device enters or exits a particular area. This feature proves to be helpful when your loved ones are suffering from certain medical conditions like Dementia and you fear for their safety if they wander out of their designated safe nmwru zones or even to monitor that your loved ones are attending their GP or PT appointments. “As a company, we are dedicated to providing reliable and accurate safety features for the senior members of our community. Whether it is through inactivity tracker, low battery alert, SOS alert, GPS tracker app, or cell phone usage logs, we strive to help families when and where they need it,” said Danielle Shepherd, Head CS. Of the company’s recent additional features, SSA Founder Dr. Devikaa Manghnani said, “Observing the needs of the elderly under my care as a doctor, I designed these additional features to enhance the safety of the elderly, especially in relation to seniors with health conditions like dementia. The app allows our seniors to be independent and at the same time assures the caregivers that their elderly loved ones are safe and taken care of”. 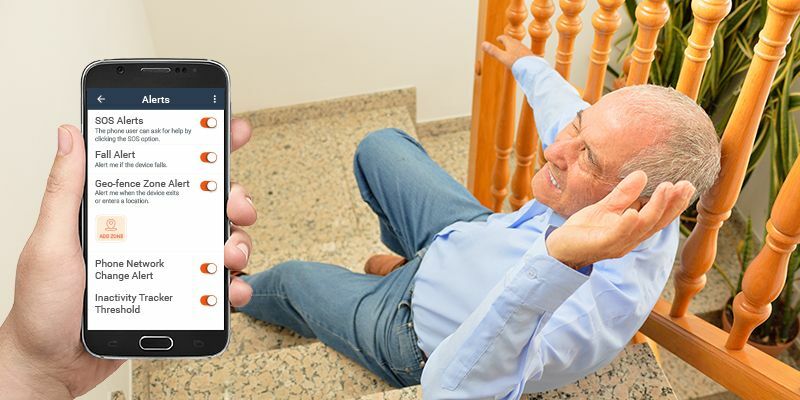 Senior Safety App offers seniors with various options for mobile emergency response, leveraging the cell phone they are already comfortable using as the base platform. For more information on the app, go to https://www.seniorsafetyapp.com/ or download from Google Play Store https://play.google.com/store/apps/details?id=app.seniors….